I am currently having a serious case of wanderlust, especially somewhere tropical... and this outfit is not helping! It reminds me of last year when I went to Cabo and now I want to go to Tulum, the Bahamas and Havana with this outfit. 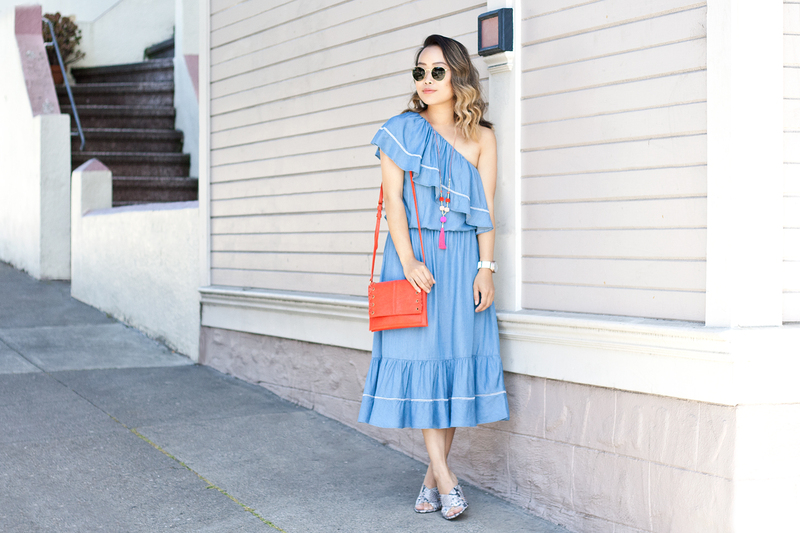 I am wearing INC International Concepts from head to toe... this denim chambray dress is so much fun, I just want to spin around in it all day. 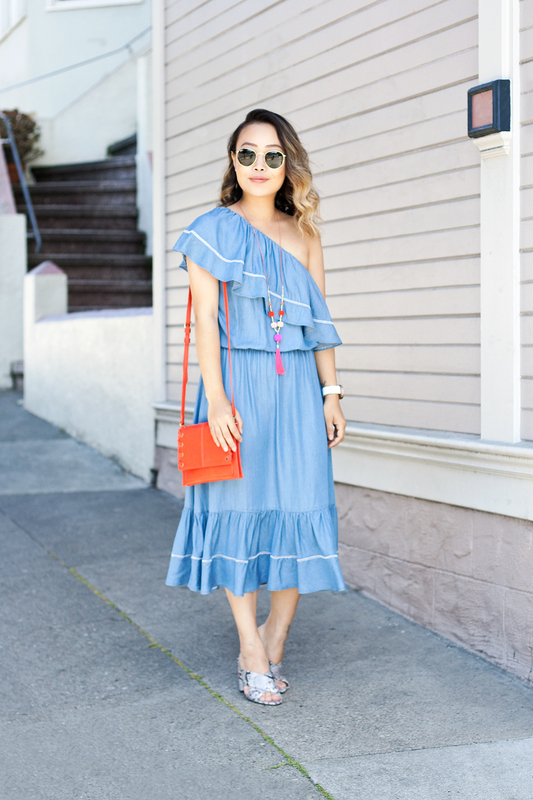 I love the one-shoulder silhouette and the ruffle details. 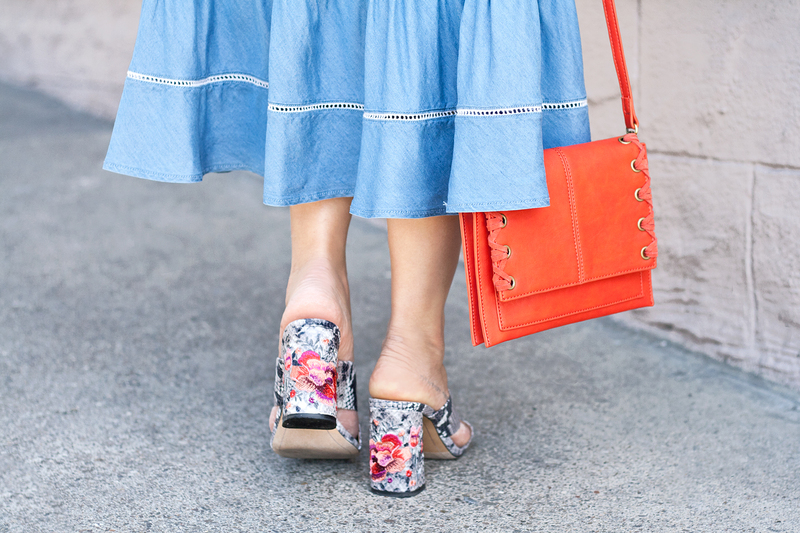 I styled it with a bright coral crossbody bag with whipstitch detailing, a playful beaded ball and tassel necklace, and these amazing snake print mules with floral embroidery. Summer should be fun and colorful so why not dress the part? Denim chambray one-shoulder dress c/o INC International Concepts. Crossbody bag with whipstitch detailing c/o INC International Concepts. 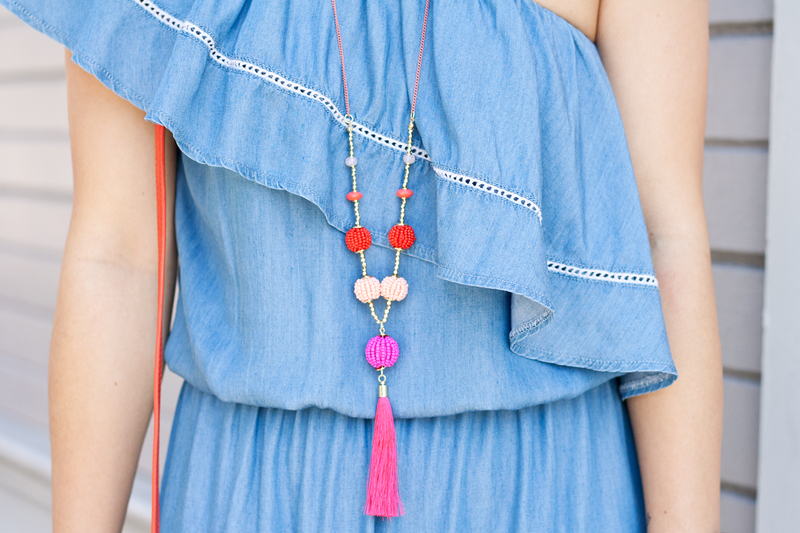 Beaded ball and tassel necklace c/o INC International Concepts. Snake print mules with floral embroidery c/o INC International Concepts. That necklace - it looks amazing! I love your dress and necklace! Looks amazing and great!